The advantage to Vermonters of the sale of Vermont Yankee to NorthStar can be summed up this way: sooner rather than later. As early as 2021, NorthStar, would begin a decade’s worth of decommissioning. By comparison, the original decommissioning plan as prescribed by the U.S. Nuclear Regulatory Commission would begin no sooner than about 20 years from now, and more likely around 2072. This advanced schedule means that sooner rather than later, NorthStar’s plan can stimulate broad-based employment and prosperity for retail, food and lodging, housing, and healthcare sectors, as well as government spending on schools, roads, public safety and other vital services in Windham County and throughout the state. Total estimated economic impact: $781 million [Brattle Group study, 12/15/2016]. During regular operations, Vermont Yankee employed over 600 professionals in good-paying jobs. For a five-year period, NorthStar decommissioning will add approximately 1,000 jobs (onsite jobs and secondary spending combined) per year to the local and state economies. Notably, the funding for decommissioning won’t come from local or state taxpayers, but from the Vermont Yankee Decommissioning Trust Fund, with more than $550 million in asset value. Properly managed with the oversight of the NRC as it has been to date, it will fund the entire decommissioning project, and the funds will begin to be unlocked much sooner with NorthStar. Decommissioning is NorthStar’s core competency as an ongoing business. It has helped decommission more than 300 related projects, including four nuclear power plants in New England. 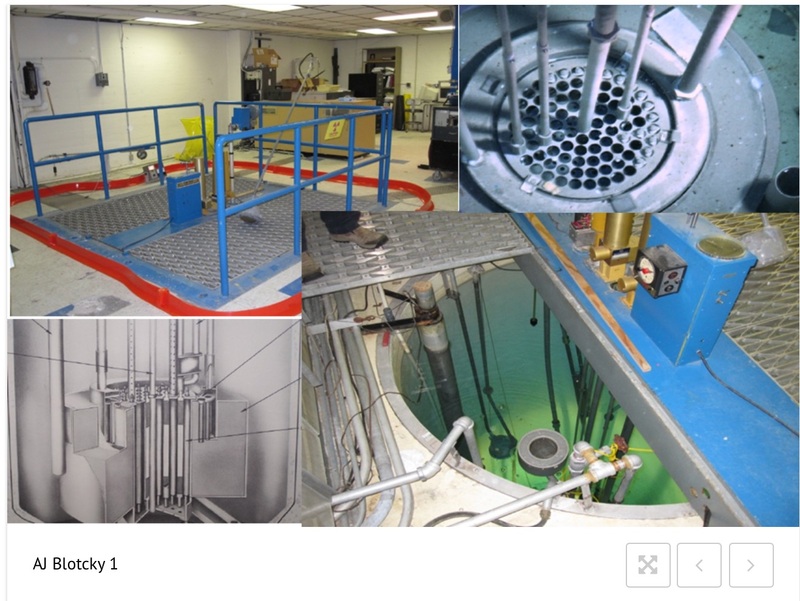 NorthStar has also conducted NRC-approved decommissionings from start to finish for several nuclear reactors at universities and other institutions. Before it can begin the work, NorthStar must pass the scrutiny of both the Vermont Public Service Board and the U.S. Nuclear Regulatory Commission. The PSB has already opened a docket on the case, and has invited public input through the submission of comments online or through public testimony at two anticipated public meetings this year. The NorthStar sale also would mean that sooner rather than later, low-level radioactive waste will be safely shipped out-of-state. NorthStar‘s plan to move this material out of state pre-processing – known in the industry as “rip and ship” – will get low-level waste out of Vermont promptly. This removal by no later than 2030 compared to up to 60 years is most welcome. Also, NorthStar proposes to build an eight MW solar farm onsite as soon as 2026, according to the Brattle Group study. The NorthStar sale would also mean that Vernon, the rest of Windham County, and the State of Vermont can benefit from the presence of a new employer on the Vermont Yankee site. This employer – possibly an energy producer or computer data center, for example– will mean, high-quality employment, with the resulting private and public sector economic benefits. Perhaps even more important for Windham County and Vermont, a strong, good-paying employer can help create an attractive atmosphere to attract more jobs. Economic development experts say the big problem with Vermont is that not enough high-demand managers, engineers, and IT professionals want to live here - at least, not outside of Chittenden County. Our cultural, educational, medical and other “quality of life” resources pale in comparison to many other states. This reality may hurt our Green Mountain pride, but many people prefer the lifestyle in places such as Chapel Hill or Austin. A large, blue-chip employer is a quality-of-life cornucopia: from it will come better schools, more arts, and more attractive neighborhoods. If we want Windham County and Vermont to draw highly-skilled young Vermonters or transplants, we must cultivate employers who will provide economic opportunity for us, our children, and our grandchildren. Here is a winning scenario for Vermont—the sale of VY to Northstar and a speedy transition to start decommissioning the site. Let’s embrace the opportunity to advance the timeline for the plant’s decommissioning. It will provide much greater benefits much sooner, and that’s a good thing for Vermont. Guy Page is the Communications Director of the Vermont Energy Partnership, a coalition of businesses, trade and industry groups, not-for-profit organizations, labor unions and individuals committed to clean, safe, affordable and reliable power policy in Vermont. Entergy-Vermont Yankee is a VTEP member. 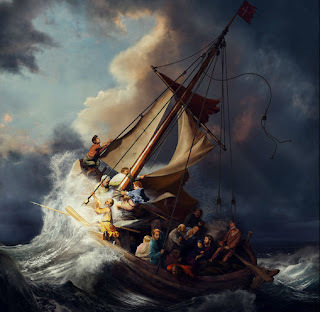 He has frequent guest posts at this blog: his latest post was Wind Power in Vermont, After the Election. I was reluctant to publish much about the decomm sale on this website because of my concerns with the current workers at VY. My concern was that their employer would be gone with the sale, and their pension benefits might well be affected. Happily, IBEW local 300 has filed to be an intervenor in the Public Service Board case about the sale to Northstar, so my concerns are at least partially alleviated. 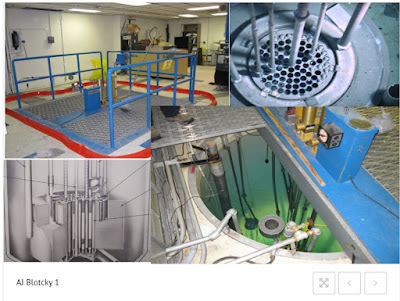 I have always thought that a specialized company should do the decomm, as I noted in my blog post Facts and Opinion on Entergy Sale of Vermont Yankee. Campaigning for Clean Air: The book is available! Pro-nuclear people can make important contributions to the energy debate. This book will help you make your voice heard. Advocates appreciate the importance of nuclear power for clean air and for our planet’s future. • Find other nuclear supporters and have fun together. Campaigning for Clean Air features anecdotes, examples and insights from many pro-nuclear advocates. This book will inspire your work for a clean energy future. Update: A wonderful announcement of the book at Dan Yurman's Neutron Bytes blog! Campaigning for Clean Air & Nuclear Energy. Thank you, Dan! Happily, more and more books are appearing to describe the advantages of nuclear power. Power to Save the World, Climate Gamble, The Non-Solutions Project, Thorium, Energy Cheaper than Coal, and After Fukushima: What We Now Know. Buy all of them! (I did.) And this is far from a complete list of excellent pro-nuclear books. But whichever of these books you buy, please also buy my book. It's a little different. It's about getting the pro-nuclear word out to the world. My fear is that with all the pro-nuclear books, pro-nuclear people will read the books and enjoy the books and then....Then what? We pro-nuclear people have to raise our voices to support nuclear power. That is why I wrote Campaigning for Clean Air. This book is about how to support nuclear energy, with some discussion (of course) about why to support it. As one of my friends said: "Your book is a guidebook, a sort of how-to." Exactly right. How to write a letter to the editor. How to organize a rally. And everything in between. 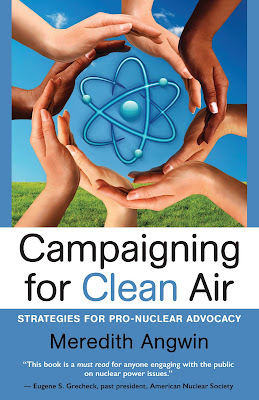 Campaigning for Clean Air has the subtitle: Strategies for Pro-Nuclear Advocacy. I might have subtitled it: Advocacy the Easy Way, or maybe Activism for the Shy. More on this later but meanwhile: Buy the book! The movie The Perfect Storm was about two monstrous storms which come together, out in the ocean, and destroy a very solid fishing vessel. Today, three storms have come together as a Perfect Storm for nuclear energy. the March, 2011 tsumani in Japan. the merger of Westinghouse with CB&I, while building 4 new AP1000s in the US and 4 new AP1000s in China. This perfect storm is forcing Toshiba to possibly auction off Westinghouse. AREVA's headaches as the step child of EDF were initially looked at as a “Begging Session.” Areva wanted to keep operating under French direction. However, French leadership wants to reduce nuclear power by 50%. This is very strange since almost 80% of all France’s power comes from nuclear energy. But unquestionably, AREVA Nuclear Fuel is now being used by more and more operating companies. So the stepchild is doing better than expected. Finally, the Henry Hub natural gas price in February, 2016, went from $1.71/MMBTU to $3.44/MMBTU yesterday. That is just over 100% increase in 11 months. But why? Because the Cheniere Liquid Natural Gas plant came on line and exported the first LNG ship overseas. But Cheniere is only the first of the 17 Approved LNG Permits. The others will be coming online this year, next year, and thru 2020. The world prices at $20/MMBTU clearly show the profits to be made. So what does this have to do with nuclear energy? When nat gas reaches $4.75/MMBTU, nuclear power becomes standalone profitable. AND when nat gas reaches $6.10/MMBTU, even coal power becomes profitable. So here we are. With the ability to buy or merge Westinghouse and AREVA, at rock bottom merger prices, while the world hasn’t woken up yet to the natural gas prices climbing to new heights. Westinghouse could be broken up into saleable divisions. Same for AREVA, and then only GE would have their ESBWR or their ABWR to sell throughout the world. For American nuclear exports, many 123 Agreements are in place, but the Ex-Im Bank also needs to be funded for foreign sales to increase. This year will decide the fate of many companies, as well as determining whether existing US plants have a lifeline. Nick Escu is the pen name of a person with long experience in the power industry. He is a frequent guest blogger at this blog. Vermont has an energy policy that requires that 90% of Vermont's energy come from renewables by 2050. This policy includes all of Vermont's energy, including heating and transportation. Such a change can most generously be described as "unlikely." I have at least two blog posts on this subject: What 90% renewables would look like in Vermont, and Vermont's renewable plan is wishful thinking These posts are from 2013. So far, this renewable policy is not law, but it might become law. The legislature is in session, and, as Mark Twain said: "No man's life, liberty or property are safe while the legislature is in session." Bills are being introduced to make this policy into an actual law. The Ethan Allen Institute recently made a video on the folly of 90% renewables for Vermont. I appear briefly in the video. I hope you enjoy it.